So, now my curiosity and adventuresome spirits are piqued…what are we seeking “independence” from or for? Many of us want more financial independence, or perhaps more independence to express our creativity, and even independence from what we think others think or want from us. Take a moment to reflect upon what “independence” means to you. Take your time on this – it’s wonderful to really explore your inner desires and where you may even be feeling trapped…..got some ideas/thoughts? Now, as you are ready, keep reading. Ultimately, I’ve discovered that what we really want – deep down – beneath the surface level, is to be free. To embody a sense of freedom. Freedom to love and be love, express our uniqueness, freedom to experience life and share our joys as well as our sadness, to be free from doubt and worry - about what others think or want or expect from us and freedom from what we perceive are our own limitations and shortcomings that hold us in dependence upon something or someone outside or ourselves. Our egoic self, the part of us that thinks it’s all up to us, we’re separate from everything and everyone else, no one gets me, so I better figure out what everyone thinks or wants so I fit in and can be appreciated, valued, loved and know that I matter. That part of us is continually seeking “independence” thinking that it’s the them, the those, the thing, situation or circumstance that we must get away from to be free and thus happy and we believe this as ultimate truth. Frankly this approach is exhausting and searching for a lie. The truth is there is no way we can go it alone. How do I know this. Just look around…..are there others? Yes. Therefore, we’re all in this thing called life together and we need one another (on varying level of course and at different times-reason, season, etc. ), otherwise, there would only be an expression as one of us. Yet, just look at all the variety and diversity and beauty each of us bring…yep, we need one another in all our amazing differences that upon close examination, we discover many more similarities just expressing in so many different ways. So, what if we embrace our dependence? What might that look like? Well, it could look like living a life of humble gratitude. For example, I am super grateful that I do not have to do all the things that once were required to live and that I have support and dependence upon so many so that I may focus on what is mine to do, what I love doing, so that I may share and offer my gifts and talents freely to others. True independence is a quality of being generated from within based on your choice of perspective, shaping your perception and creating your reality regardless of situation or circumstance. So many have exemplified this attitude: Nelson Mandela, Ghandi, Mother Theresa, Martin Luther King, Buddha, Jesus to name a few and I’m sure you could come up with others, perhaps role models from your own life. This independence allows a true sense of freedom to just be yourself. 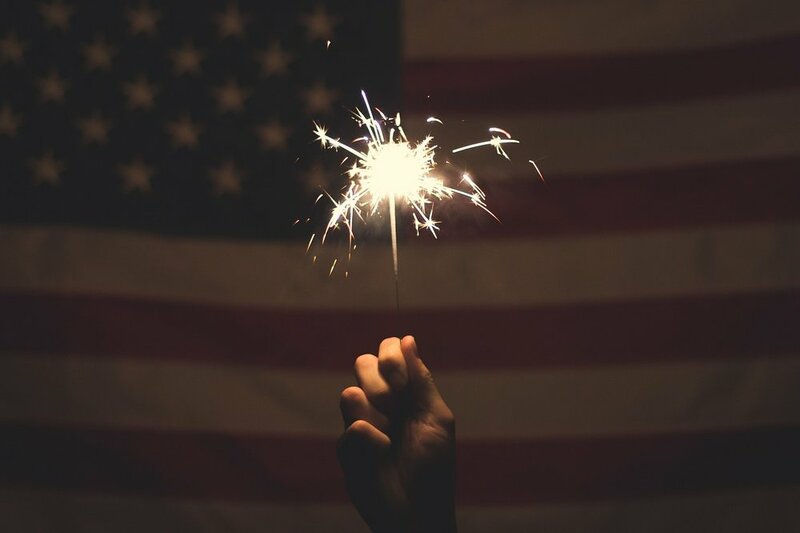 So, on this Independence Day and every day, I challenge you to stretch your imagination as to just how freely you can live because of and with others AND create a lovely long gratitude list as to all those others and all the ways that allow you the freedom to be you. Please share your current top 3 Freedom Gratitude’s – let’s change the world and truly let freedom ring!